For those of us who enjoy taking our tunes on the trail, there are a ton of options. 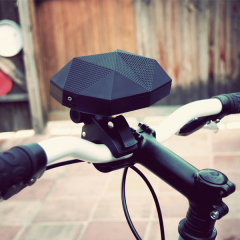 Lots of companies are making Bluetooth speakers that either attach to your handlebars or fit into a water bottle cage. Of course, there are performance variations as you’d expect, but one of the biggest challenges is in mounting. Any speaker, especially one that’s going to go off-roading, needs to be able to take a licking and keep on ticking (my apologies to Timex). By Gary M. Kaye from In the Boombox. 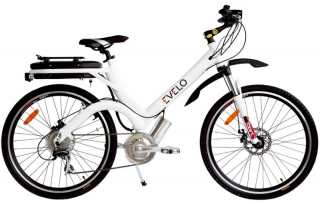 I had a chance to try out the EVELO Aurora, an e-bike with some very sweet features. 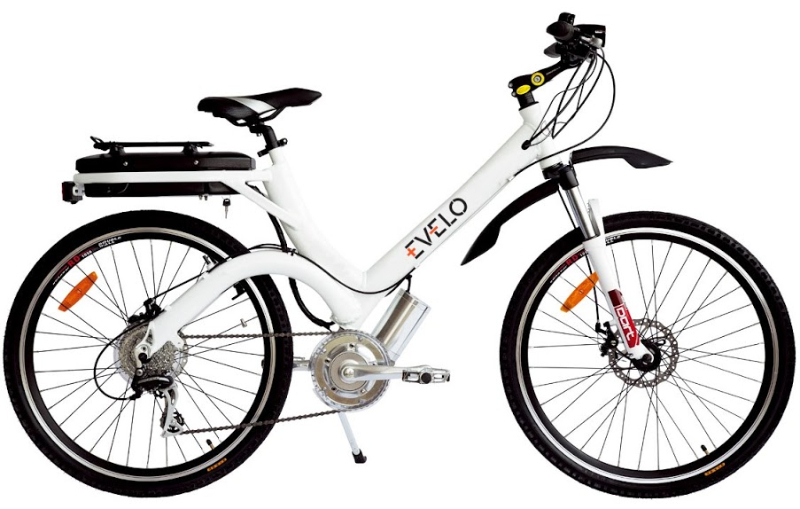 EVELO makes three models. The Aurora is the middle of the line. All their bikes feature a mid-drive motor, and all can operate either as a pedelec or fully throttle driven. The mid-drive motor is compact, efficient, and mounted high enough off the ground so clearance is not an issue if you want to go off-roading. I am a GPS geek. When I travel I carry a GPS for automobile navigation. I carry a handheld to find my way around trails and cities. A third sits mounted on my bike. Now Garmin has come out with a device that handles all functions in one device. The Garmin Montana 650t is not elegant in appearance, but it is certainly elegant in functionality. 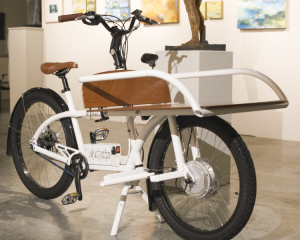 One of the problems with electric assist recumbent bikes and trikes is that there’s not just enough room to put stuff. We’re talking stuff like a camera, or GPS, cell phone, etc. But TerraCycle has come up with a unique system to put on almost as many add-ons as you can come up with. The TerraCycle Cockpit Mount system uses two clamps attached to a long tube and a short tube.